I came to learn about the benefits of kombucha about a year ago, after a friend posted a photo on Facebook page of her kombucha tea, raving about how much she loved it. Of course, I had seen bits and pieces about kombucha online and was starting to see it everywhere in stores, but her post prompted me to dig further into what the craze was all about. Everything I read was so positive and the benefits were plenty. Then (like magic! ), it appeared in the refrigerator at my local Costco…and it was on sale! I took it as a sign! Not sure if we’d even like the taste (I have a few picky people in my house), I threw caution to the wind and bought a six-pack. I fell in love with it and so did my husband. We’re not a pop drinking family, but we do love sparkling water, so kombucha was like a little treat alternative to plain fizzy water, but with a whole lot of awesome health benefits. Even our kids started drinking it – as long as they didn’t smell it! Kombucha became a staple in our house over the past year, where my hubby and I would drink one a day, religiously. I found it gave me a little caffeine-free “pick up” in the afternoon. When we were traveling, we always made sure to have a bottle or two on hand to help fight off the jet lag blahs and give us a refreshing boost of energy. Both my hubby and I found that every time we drank it, we felt better. A few months ago, however, I started getting breakouts, which is normal now and then, but these breakouts were big cysts, they wouldn’t heal and then they were multiplying. Along with this, my rosacea started to flare for the first time in several years. I truly feel that skin issues come from something going on in the gut, so I kept drinking kombucha, thinking the “good” bacteria would only help the problem. Over the past month, the rosacea and cystic acne have progressed beyond anything I’ve had in the past…it was time for more research! Kombucha (and all fermented foods/drinks) contains bacteria. Even though it’s bacteria that is good for your gut, it is entirely possible to have too much bacteria, good and/or bad. Skin troubles are often a result of gut issues and I’m convinced kombucha isn’t helping mine at the very least, and is quite likely making matters worse. The fermented yeast in kombucha can cause, or add to, Candida issues. Having had significant issues with Candida several years ago and knowing it can cause skin problems was enough for me to make the decision to take a kombucha break. Another point regarding Candida is that it can lead to leaky gut. My daughter, who was a huge kombucha fan and had solved her leaky gut troubles, was starting to notice the leaky gut symptoms returning, so she’s also taking a break from it. It’s been almost two weeks since I gave up my beloved beverage and although my skin issues are not gone by any means, I can say it is less inflamed. I know it will take a while for me to see any significant improvement, but the change is enough for me to keep kombucha from my diet. Another thing I noticed is that I’m not really missing it. Sometimes that’s the best indication that maybe the body just doesn’t want it anymore. I don’t know that I’ll be giving up kombucha forever because I believe fermented foods offer many important health benefits (and I’ve yet to find another one I like), but when I do start drinking it again, I’ll be more of an “every few days” kombucha- drinking kind of girl. Suzanne Burke is a part of our community at Halifax Yoga and it a holistic nutritionist student. As a busy mom to four great kids, she lands on her mat as often as she can. With an engineering background, Suzanne has a passion for healthy living and nutrition. 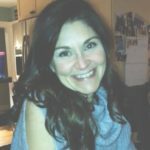 We want to thank Suzanne for her awesome contribution to the Halifax Yoga blog! We invite everyone in our community to share their passions, and contribute. 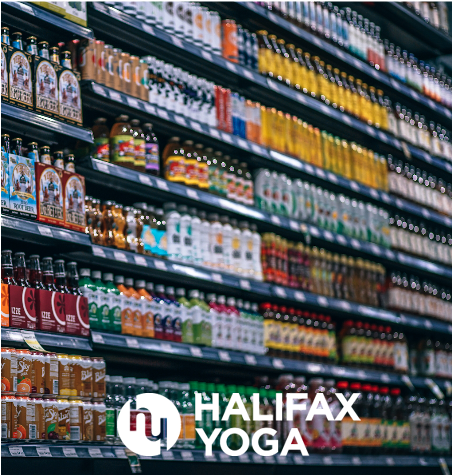 If you have a favourite recipe, pose, class or other relevant topic please contact Raechelle@halifaxyoga.com !